For Children 16 & Under! Saturdays at 1 :00 pm. & 3:30 pm. Sundays at 1 :30 pm. & 4:00 pm. 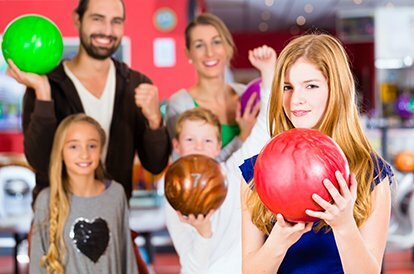 The 1 :00 parties must be done and off the lanes by 3:00 (1 :30 parties by 3:30). The 3:30 parties must be done and off the lanes by 5:30 (4:00 parties by 6:00). This is so we can clean up for the next reservation coming in after you. The birthday child receives a birthday party bowling pin that can be signed by all the guests, a coupon for 3 free games of bowling (to be used at a later date), plus a Cataract Bowl Fun Centre Tee Shirt. You can bring in your own food or order food in. Half an hour in our New Mascot Party Room with their favourite mascot! (Over 40 Different Characters to Choose From! The birthday child will receive a Cataract Bowl Fun Centre Tee Shirt!